Prosthetics can change the life of an amputee. But when an old limb no longer fits or just gets worn out, it can be hard to part ways with an item that offered the liberating chance to jump, dance or simply walk. Priscilla Sutton has a solution: turn these “pre-loved” limbs into artwork. 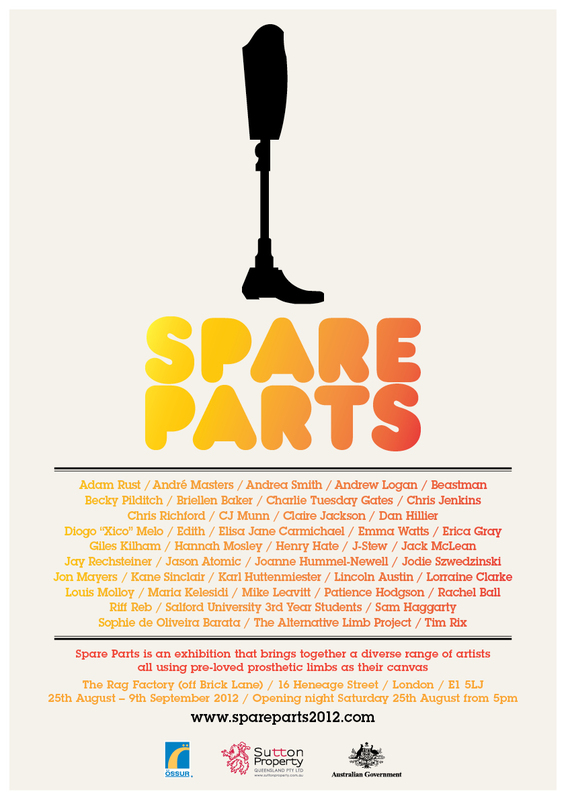 The Australian curator came up with “Spare Parts London,” an exhibition of altered prosthetics that has opened in time for the Paralympics, which start today. The exhibition, which includes works by artists from Britain, Australia, the United States and Japan, comes as people are paying new attention to the devices. Public awareness of prosthetics has been heightened by the popularity of double amputee Olympic sprinter Oscar Pistorius, the South African known as the “Blade Runner.” The exhibition will showcase the “Cheetah” — the carbon fiber running leg Pistorius uses that has a flex foot designed to replicate the hind leg of the fastest animal on land. The show also displays arms and legs hanging from the ceiling and others in glass cabinets. A creation by British artist Rachel Ball features a little girl’s leg covered in colorful crochet and painted with henna on the foot. “It reflects the original owner’s personality,” Sutton said. Since coming up with the idea, 33-year-old Sutton has collected prosthetics donated by amputees, their families or health services around the world. “I got a box of arms from the NHS ,” she said. Owners change their prosthetics for a variety of reasons, including wear and weight fluctuations. For kids, the stump changes as they grow. For adults, muscles sometimes waste away. 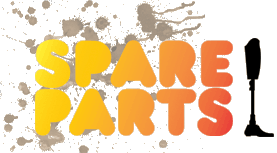 While many keep their limbs for sentimental reasons — parents might keep the first leg of their children, for example — many limbs also end up on the scrap heap. Sutton hopes the art show will lead to an open conversation about prosthetics, but others argue there are better uses for them. Broomhead thinks a better use for old prosthetic limbs would be to send them to developing countries, where their components could potentially provide prosthetics to those who can’t afford them. 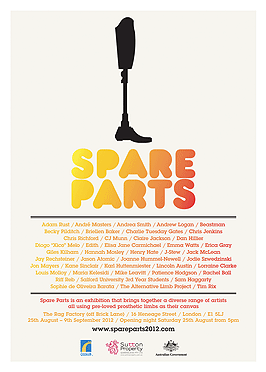 “Spare Parts London” marks the second time Sutton has used legs and arms as artwork, after a 2010 show on the same theme in Brisbane, Australia. Sutton said the earlier exhibition made people ask questions they never dared to ask before, such as whether she sleeps with her leg. (The answer is no). Sutton was born without a fibula in her right leg and the doctors wanted to amputate. Her family left it up to her. After her operation, Sutton had her leg cremated. “It was a good form of closure,” she said. She has two “spare parts:” An “everyday” leg covered with a design by American pop surrealist artist Marc Ryden and a sports leg that displays a traditional Japanese print with gold flowers and cherries. The curator said the exhibition was a therapeutic experience to produce. “I think it’s a wonderful way to celebrate and share my love of prosthetics,” she said.